Can one drink be of any harm? There are many things that have not been ascertained today, in spite of the clear evidence that may be presented. There are many people who rather not delve into something that they are not really sure about. There are several things presented to man that he would rather not touch just to be on the safe side. Though many people around might consider that folly, it must be said that it is better not to act when one is in doubt. There are two things that may be used as an example of one being in doubt. These are marijuana and alcohol. It must be asserted that both these consumables have their negative as well as positive sides. Before stepping into the positives and negatives, and the similarities and differences between these two substances, it must be asserted that there is no minimum recommended level of oral consumption for marijuana as there is for alcohol. Research has established the minimum amount of alcohol to be consumed. This has been established by several research centers and is not a matter of just one research finding, as these findings are related to work dating back more than a century. It is known that marijuana, as much as one says it is bad for the health, is still used to treat certain ailments. Of course, this does not mean to say that this herb is all good because it is certainly isn't all positive. Though it is still used for medical purposes, there are many people that also use for intoxicating themselves. In view of it being a banned substance on the streets there are still many people that use it. Similar to this, alcohol has been proven to have positive medicinal effects. Though many people abuse the substance it is though that a particular amount of alcohol everyday is good for the health. The fear in this regard is that since it is already a legal substance, if it were to be officially approved as a substance good for the health, alcohol consumption would surge. As far as the success of alcohol is concerned regarding its ability to do the human body some good, it has been proved that there are particular ailments that can be prevented through regular and moderate alcohol use. The problem is that people might not know how to deal with this kind of revelation and consume the substance in increased proportions. 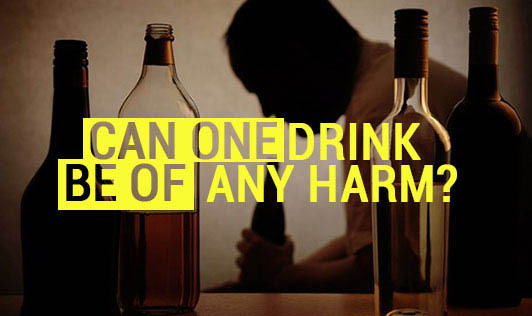 However, according to what research has revealed, and if one is in control of his or her consumption levels, it is said that a couple of drinks a day are not harmful. It is said that it is good for the body and brain if one consumes a glass or two of alcohol on a regular basis. Exceeding this limit transforms the level of safety to more and more dangerous proportions according to the increasing levels that one may consume. In order to be more comprehensive, it must be asserted that one drink of alcohol a day is not considered to be harmful at all. In fact the margin allowed according to research is two drinks per day. Hence a person may safely consume one glass of alcohol a day. However, it is advised that individuals really stick with this amount rather than increasing the amount with the passage of time.